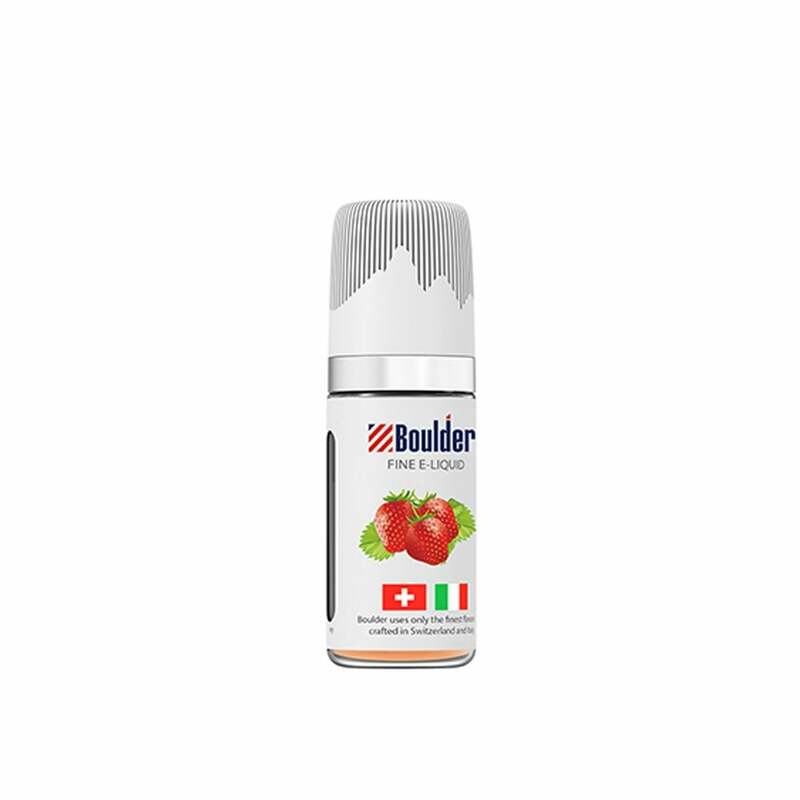 Fresh and sweet, this Strawberry vape juice is designed for use with the Boulder Rock Vape Pen. It captures the unique flavor of wild strawberries and is a very sweet and gentle e-liquid choice. It is a must try for anyone who likes sweeter fruit e-liquid flavors. Let your sweet tooth loose with this fruity frenzy of an e-liquid from Boulder Rock. The bottle has an easy to use design with a long spout, along with Boulder Rock's signature cap design that features an embossed mountain motif. Light liquid that does not clog the vape stick. Actual strawberry scent. Does not taste good and definitely does not have a smooth hit. There are plenty other juices that are much better than this one. It works, but not nearly as smooth as some of the e-juices out there. Good for the price. Great flavor! Wishing it could be manufactured in a larger ml vial for consumers. I definitely am not a fan of this eliquid. It hits very hard. Just grabbed this because my local vape shop was closed. Great juice and definitely has a strong strawberry flavor. If you want nicotine without the burn but with strawberry this is it! Very smooth with an amazing taste! Smooth. I really enjoy it. Good product, the nicotine levels could be a bit higher but that is personal preference. I’m always hesitant when it comes to flavored vape juice, but this strawberry is actually pretty good! Excellent flavor, not too strong. Bottle is great; thin needle top to insert juice into device. Very berry, hits the throat a little hard but finishes sweet. The juice has a goof flavor and good hit, but only goes to 25mL which is a lot lower than Juul, so don't expect as good of a buzz. Burns pretty quickly but overall pretty good.